Being a dumb and clumsy robot has never been as fun as in the stupid robots competition Hebocon. 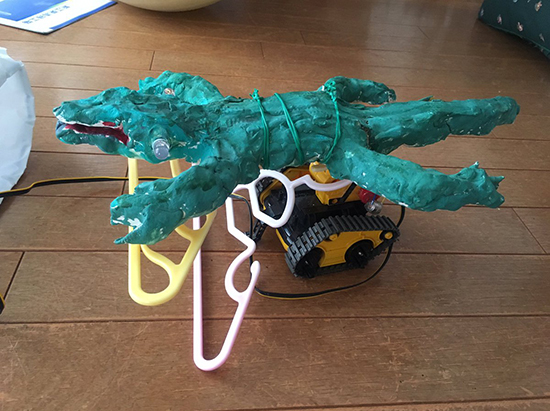 This competition series is described as “robot contests for the technically ungifted” by its creator Daiju Ishikawa, and encourages anyone to join with no prior knowledge of robotics necessary. What’s neat is that unlike other awards, Hebocon’s are symbolic as they are usually made out of recycled parts from every robot in the competition! 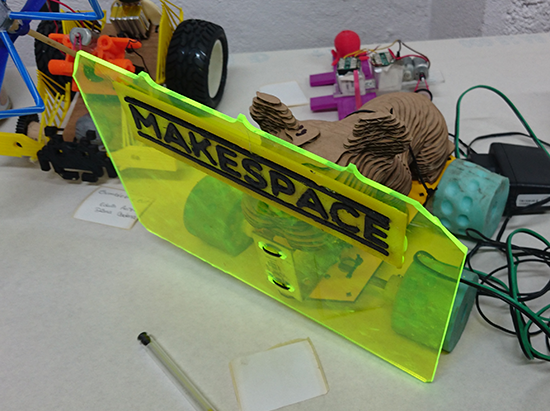 So far there have been two editions of Hebocon in Spain (Valencia and Makespace Madrid) where our very own David Cuartielles participated as a judge. 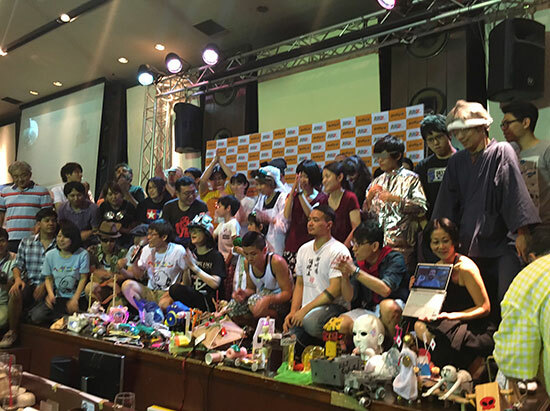 Last weekend, Cuartielles was invited to the Hebocon World Championship in Tokyo where he served on the judging panel alongside Nifty’s Dr. Kunio Matsui and an executive from NicoTsuku (a company dedicated to digital communities). 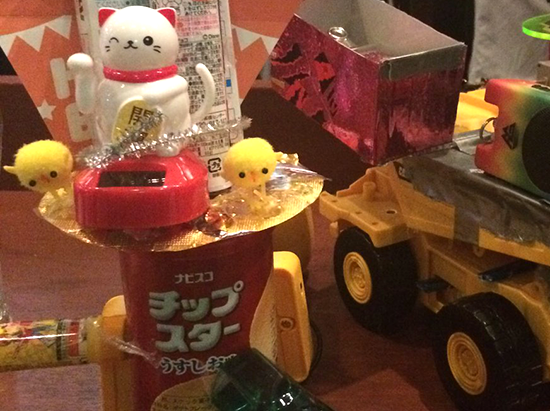 The event drew a total of 32 robots from all across the world, including the United States, Hong Kong, Iceland, France, Singapore, Greece, Taiwan and Japan. The ‘Remote-Controlled Robot’ from Hong Kong won the sumo competition and it was about fooling the opponent by switching the roles of the remote control and the robot. Thanks for inviting us to Hebocon’s World Championship 2016! Check out more on Twitter! We were beginners with Arduino and motors so we started out pretty basic, trying to move several motors at once. We decided to use VVVV platform in addition when we realized we needed a timeline for our script for the play. With this timeline, it was easier to deal with details such as when we want to move which motor under which angle and such. For beginners with coding, this visual programming environment is very approachable and the entrance level is much lower. It is easier and faster to get to your desired outcome. 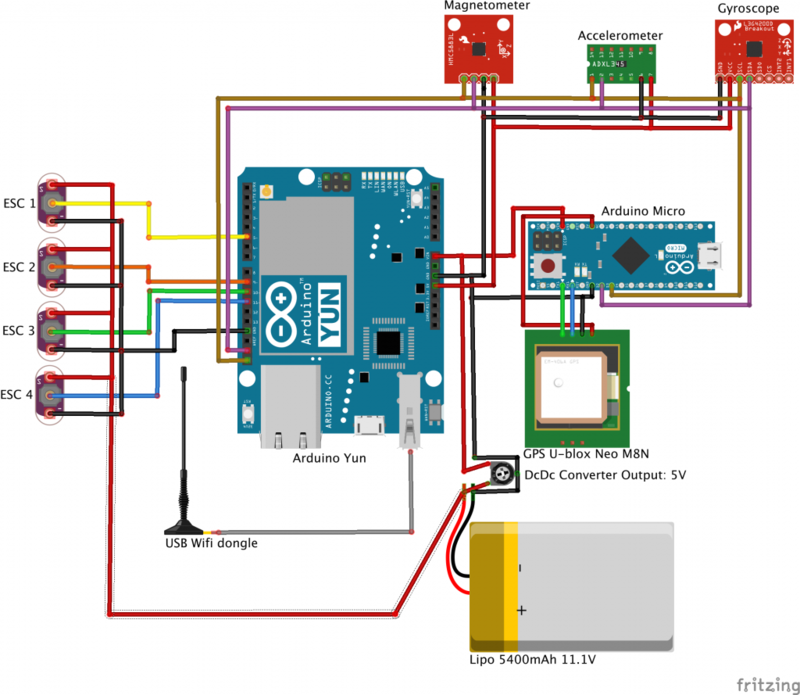 What is great about VVVV and Arduino is that there is the Firmata library that enables you to work with both platforms in conjunction so even artists and designers with lower level coding skills are able to go from concept to realization quite easy. We used Arduino Mega which was very convenient considering the number of our motors and the pins that Mega has to offer. After we had our final order of cables and pins, we even made our own shield for it. 3D-print this 1872 replica Electro-Magnetic Engine that works like your drone's modern motors. The post Ye Olde Brushless Motor appeared first on Make: DIY Projects, How-Tos, Electronics, Crafts and Ideas for Makers. The idea was to build a drone able to be controlled through WiFi from any PC, tablet or smartphone . 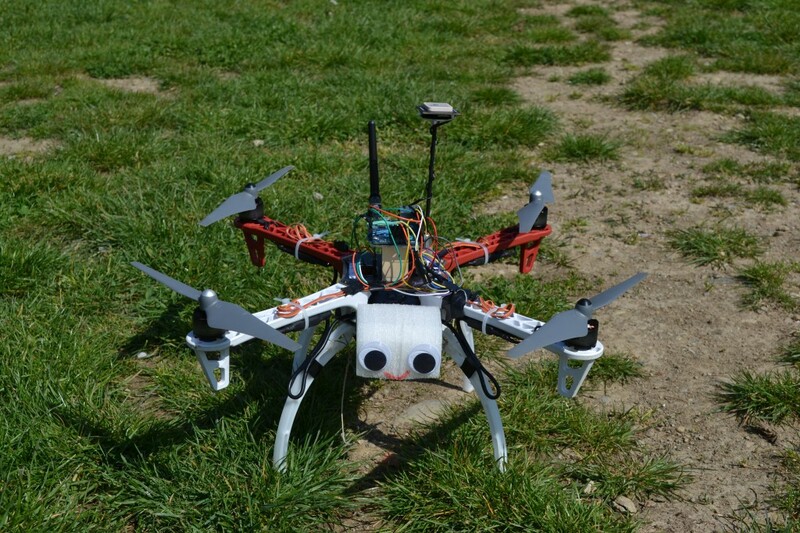 Comelicottero is equipped with an accelerometer and a gyroscope for the stability obtained by a PID-based control system. Since Servo library is too slow for the quadcopter dynamics, an hardware PWM was implemented to obtain a 400Hz PWM signal. The communication between the ground station on a PC and the quadcopter relies on WiFi and, in order to get better results, Bridge library was replaced with an efficient python script on OpenWRT-Yun. On top of that all the code was written to maximise Arduino Yún capabilities. The Navigation System has been designed, simulated on PC, implemented and tested. The autonomous navigation is going through an additional testing due to magnetometer interferences with motors’ magnetic field. 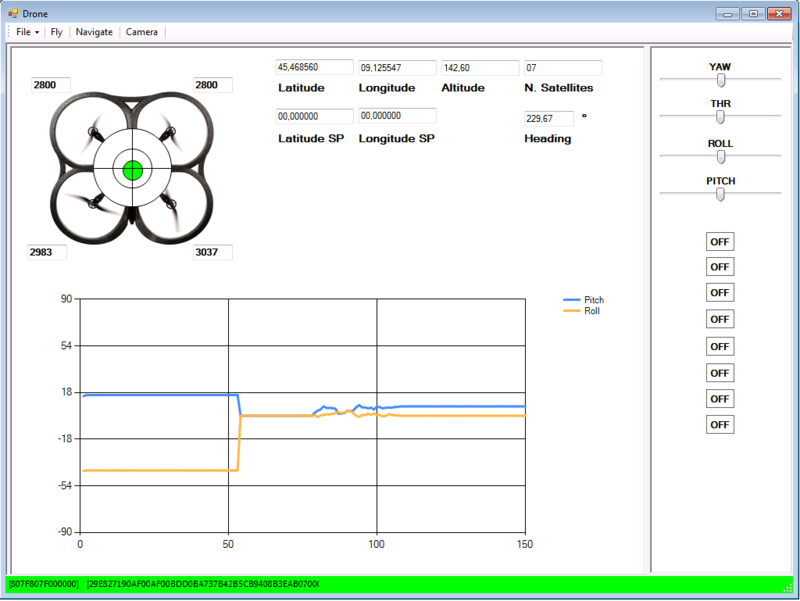 The user can control and monitor data coming from the drone using a gamepad attached to a laptop with a custom software installed. The sketch and all the documentation will be soon available on GitHub and released with GNU license. In the meanwhile follow their Youtube Channel for updates. 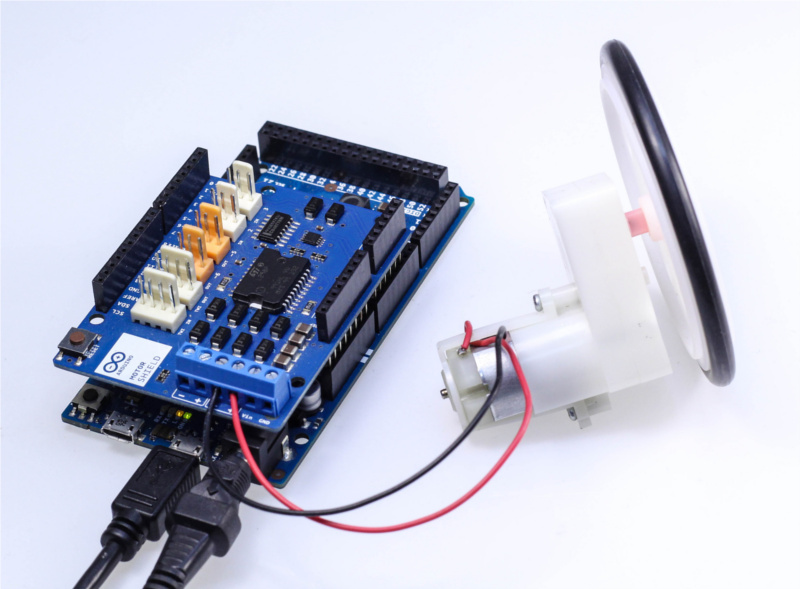 Arduino boards are able to control small motors very easily and it’s just as easy when you have to deal with controlling large motors. In the following video tutorial by NYC CNC you’ll see two examples. In the first you’ll learn how to get up and running, to start, stop, control direction and speed of a large motor with Arduino Uno. In the second example, how to use two proximity sensors as limit switches and two potentiometers to allow on-the-fly speed adjustment. 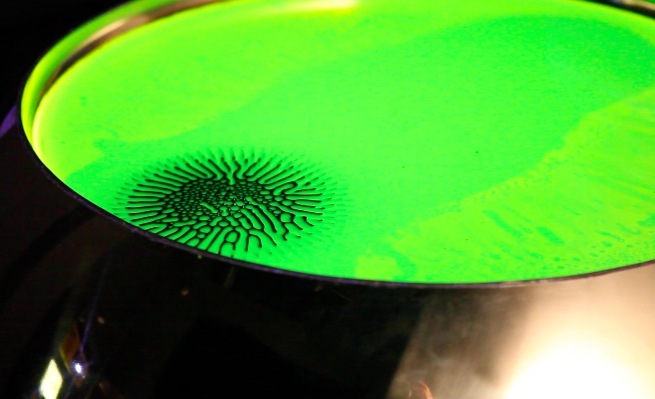 it demonstrates the field influence of the permanent magnet on the magnetic and spirit (fluorescent) liquids. Two liquids constitute the diphasic system. Due to liquids movements and their surfaces’ modifications we visualize the unique processes of human brain. The spectator wears on neuro interface Emotive Epoc, the device computes a brain activity and sends information to the installation machinery. 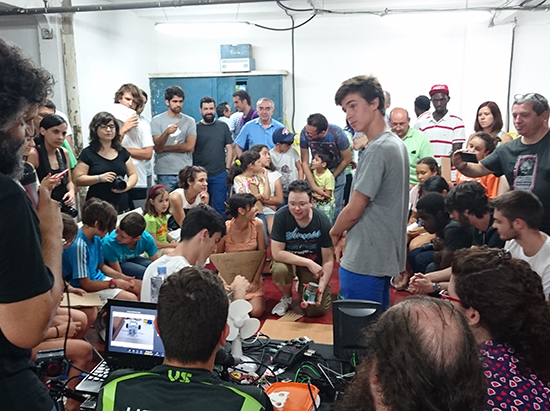 To test the project people of different ages, social groups and professional areas were invited. Test results confirmed that brain activity and mood of the man reflect on the dynamic and character of liquids movements in the sphere. Object reacts on the changes of mind and emotion states. People who spent a plenty of time with the object managed to influence the dynamic and direction of the liquids on the unconsciousness level. 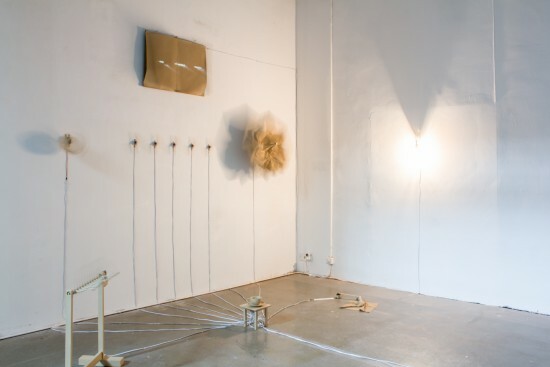 We also reveal that the installation visualizes the temperament of the person. The object copies your mental organization and echoes it on the liquid’s surface. The object becomes a part of the participant. It runs on Arduino Uno controlling dc motors, 2 actuators and a custom digital motor control system interface. 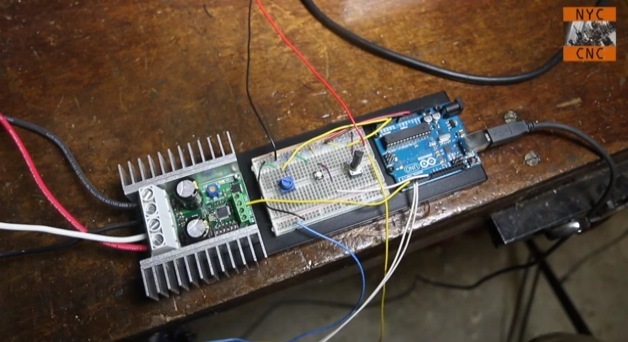 We are proud to show you a tutorial about using an Arduino Motor Shield with the Arduino Due. 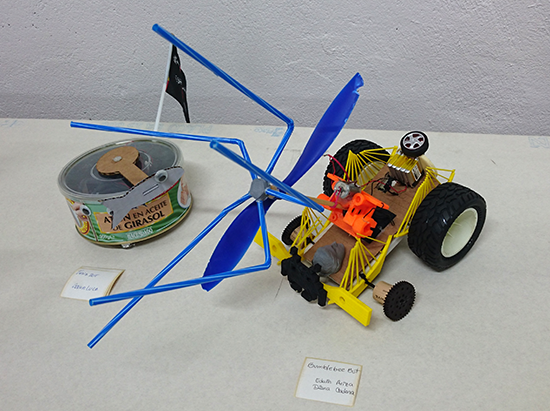 This example shows the simplest thing you can do: driving a DC motor forward and backwards. Have you ever wanted a smart home that can automatically adjusts the blinds for you? If so, this project is for you. In this instructable, the author describes his approach to “smart blinds”, by using an Arduino board, an ethernet shield, a motor shield and a couple of sensors. By means of a simple web-based GUI, the user can manually open and close the blinds, or he/she can setup both temperature and brightness thresholds in order to automate the whole process. Finally, opening and closing events can also be scheduled at pre-defined times of the day, if necessary. The complete tutorial, together with the source code of the project, can be found here.